"Plunging Into the Deep: Black Magic for Black Girls"
In August I attended the Afropunk Festival for the first time. It's something I've always wanted to do but when a friend from Philly invited me to go, I finally sucked up the courage and said yes. I'm a writer and an educator, and in my classes I urge my students to consider the way risk-takers open up space for the rest of us. One of my closest friends is a performance artist and over the years I have learned to suppress my urge to stand up mid-performance and throw a blanket over her nearly-naked Black body. She is far more daring than I, and her public persona is far more glamorous (whether she's performing or not). I admit that relative to my other artistic friends, I'm fairly conservative. I dress like a proper schoolmarm, spend most of my time alone, and my television is permanently tuned to PBS (except when Game of Thrones is on). I generally avoid crowds so any festival is a challenge for me, and when a mosh pit opened up during Wicked Wisdom's performance at this year's festival--I fled. As per my custom, I found a safe place to observe from the margins and waited for my friends to find me. clothes--mostly black--with strategically placed holes held together by safety pins. And boots--army boots. She came to school one day with a full head of hair; the next day, the sides and back of her head were shaved, leaving a silky horse's mane on top. Nyla flipped it to the side so a curtain of black hair fell over her right eye. Next day the mane was cropped short, spiked, and streaked with red. I can't even count all the piercings Nyla's got. Rings loop up the outside of her ears and huge black plugs fill her earlobes. She's got both eyebrows pierced, a diamond stud in her nose, and a silver ball that rests under her lower lip. I think her tongue might be pierced, too, but I'm not sure 'cause Nyla's never talked to me. One day this creep slipped his arm around her waist as she walked down the hall and Nyla threw him against the lockers and cursed him out: "Nimm deine dreckigen Hände von mir, du verdammter Scheißkerl!" That's right--Nyla cursed him out in German. He's lucky she didn't slug him--with all those silver rings on her fingers, she'd have left a serious dent in that prettyboy's face. Nobody messes with Nyla. She's beautiful, but she's fierce. 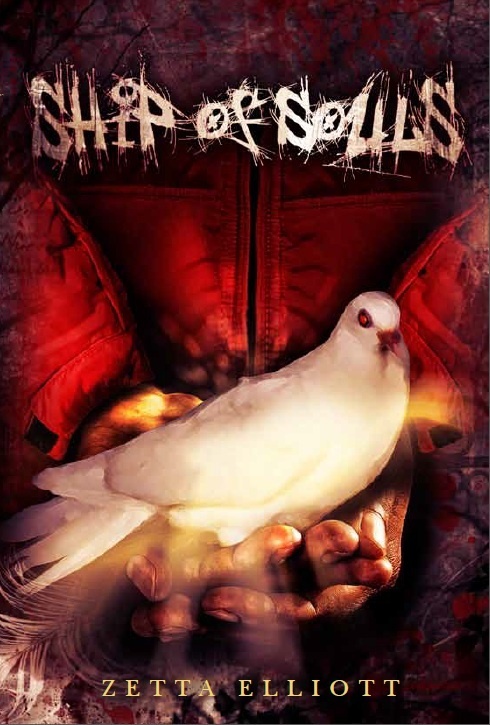 Ship of Souls combines urban fantasy with African American history; set in Prospect Park, the story features three unlikely friends who are pursued by ghosts from the Revolutionary War as they attempt to release the restless souls from the African Burial Ground in lower Manhattan. 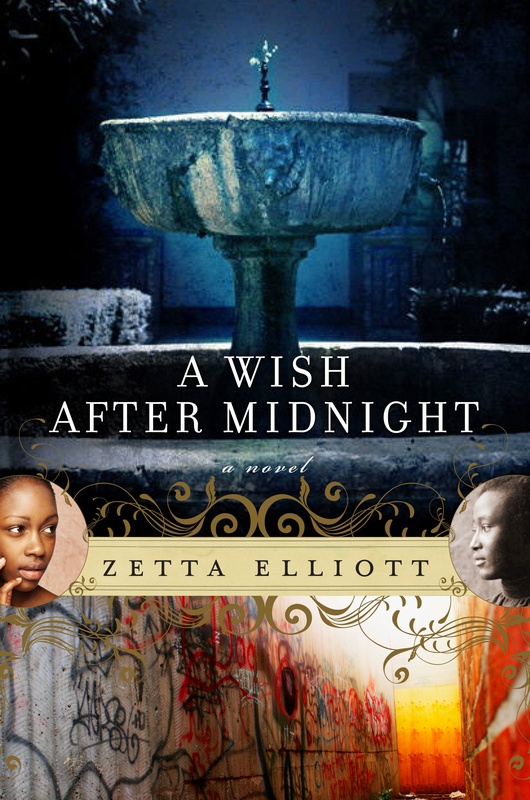 Like my time-travel novel, A Wish After Midnight, Ship of Souls lets contemporary Black teens encounter "Afro-urban magic" in Brooklyn--there are no wands or wizards, and no need to trade the 'hood for a castle in England. I devoured fantasy novels as a child but pudgy brown girls with Afros never took center stage in those beloved books. Writing for young readers as an adult (who proudly self-identifies as a Black geek) gives me the chance to place brainy black kids in the middle of the magic. They are Afro-German, Panamanian, Rastafarian, Senegalese-Bangladeshi, Muslim, queer--and theirs are the voices largely missing from young adult literature. Earlier this year in Horn Book Magazine, Yolanda Hare pleaded for "more black geeks in African American young adult literature," yet she opened her article with the incorrect assertion that "novels for black teens now claim their share of the market." According to the Cooperative Children's Book Center, books by or about African Americans constitute just 3% of the market. Many kids of color rarely see themselves reflected in the pages of a book because the publishing industry is restricting the overall number of books by authors of color. A greater range of images will only come from a greater number of books by diverse authors. This past spring I finished the second book in my Black geek trilogy. A companion novel rather than a sequel, The Deep is told primarily from Nyla's point of view. It's the summer of 2011 and Nyla's eagerly anticipating her first Afropunk Festival. The future looks promising: she's falling in love with strong, sensitive Hakeem and she's one of the few Black students accepted into elite Stuyvesant High School in lower Manhattan. But Nyla can't ignore the strange visions she's been having, and when a man named Osiris promises to reunite Nyla with the mother who abandoned her at the age of four, Nyla follows him into the deep--a dangerous realm miles beneath Brooklyn where members of a secret league fight to keep evil from reaching the earth's surface. Of course, the Afropunk Festival didn't happen in 2011. An earthquake rocked the northeast and days later Tropical Storm Irene soaked NYC, making any outdoor gathering impossible. 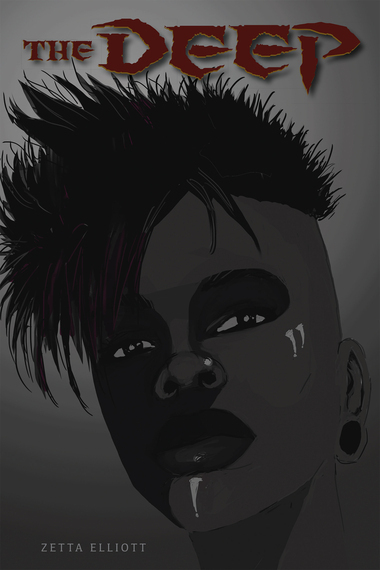 I wrote both environmental events into The Deep, and confess that I went to the Afropunk Festival this year thinking I might see Nyla somewhere in the crowd. I know she exists--and not only in my imagination. Which is why I walked away from a respectable contract last summer when the publisher insisted on releasing The Deep in 2015. I couldn't make them understand that some Black girl out there somewhere needs this book NOW. In fact, she needed it yesterday, which is why I decided to self-publish The Deep this year. Poet June Jordan recognized that the literary world would never respond to our "urgencies" and yet, she rightly concluded, as Black writers "we persist." I'm not as daring or as glamorous as many of the people I saw at the festival last summer, but I am grateful to all the other outsiders who have banded together to create a space in which we can be our unique, authentic Black selves. The Deep is dedicated to J'Cree, a 6th-grade Black girl in Harlem who wrote me a letter after I visited her school last year. In the post-script she added, "I know that there's magic everywhere." She's right.